Euro is still growing up and I decided to move stop on my buy order into the black. 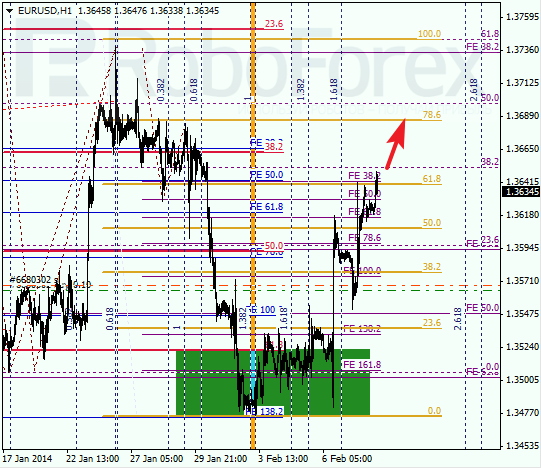 Main target is near several upper fibo-levels at 1.3960. However, on their way up, bulls may face several strong resistance levels. For example, one of them is at 1.3750. Possibly, after reaching these levels, pair may start new local correction, during which I may increase my long position. 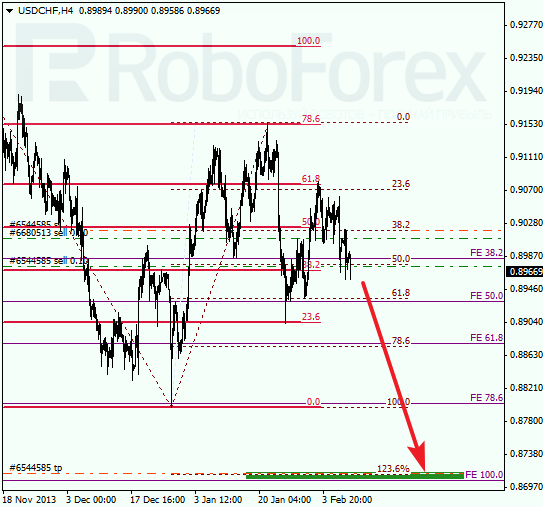 At H1 chart we can see, that bulls are trying to break level of 61.8%. Most likely, price will break this level during the next several hours. Next local target is at level of 78.6%. Franc is moving close to its minimums, so I’ve decided to move stop on my sell orders to latest maximum. Main target is near several lower fibo-levels at 0.8710. Later this area may become starting pint of new and deeper correction. 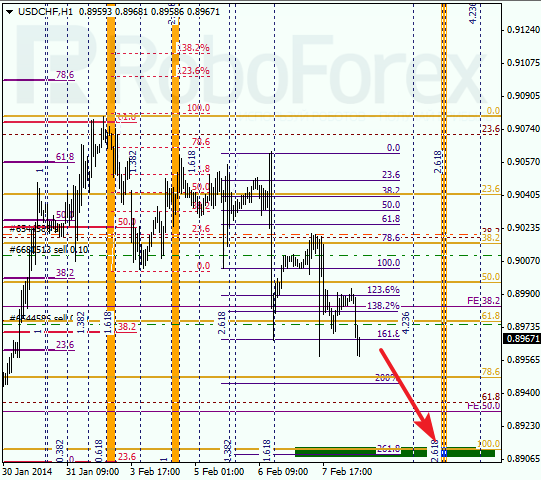 At H1 chart, pair broke level of 61.8% and right now is trying to stay below it. Next target is between levels of 100% and 261.8%. According to analysis of temporary fibo-zone, price may reach these levels by Tuesday.